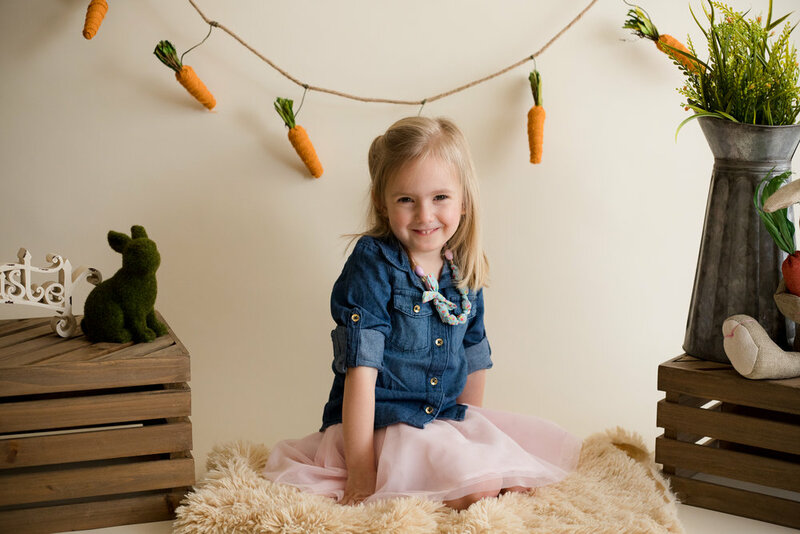 What better location for a Spring photo session than a greenhouse! 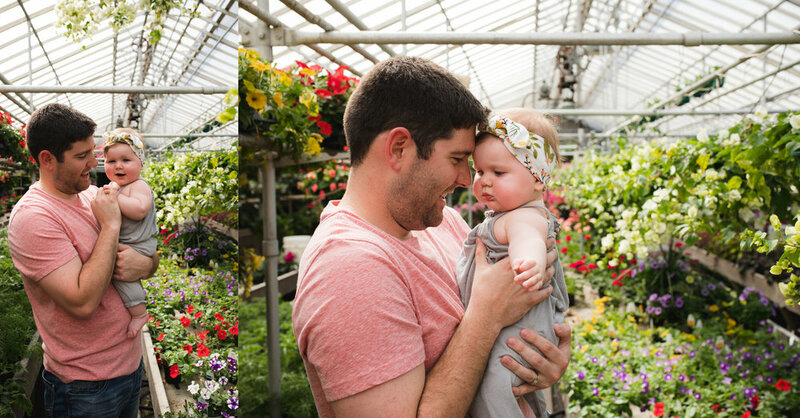 Greenhouses work great for photo sessions with small families, couples, children, or milestone babies. 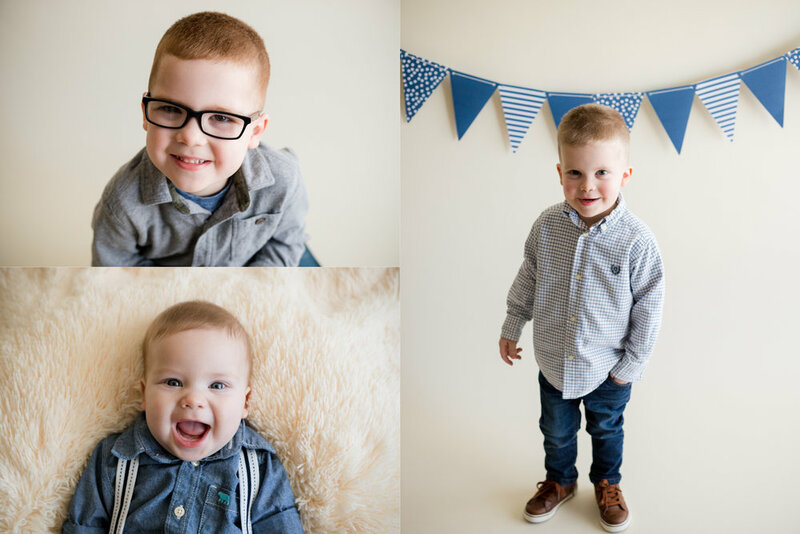 They also work well for middle of the day photo sessions, when it's raining outside, and when you want to add color to the background. I recommend scheduling a session in a greenhouse at a time when the shop is not as busy with customers. Also, always make sure to confirm a photo session with the owner of the greenhouse before scheduling. There are certain times of the year when greenhouses will not allow photo sessions to take place in their shop due to their high customer traffic. 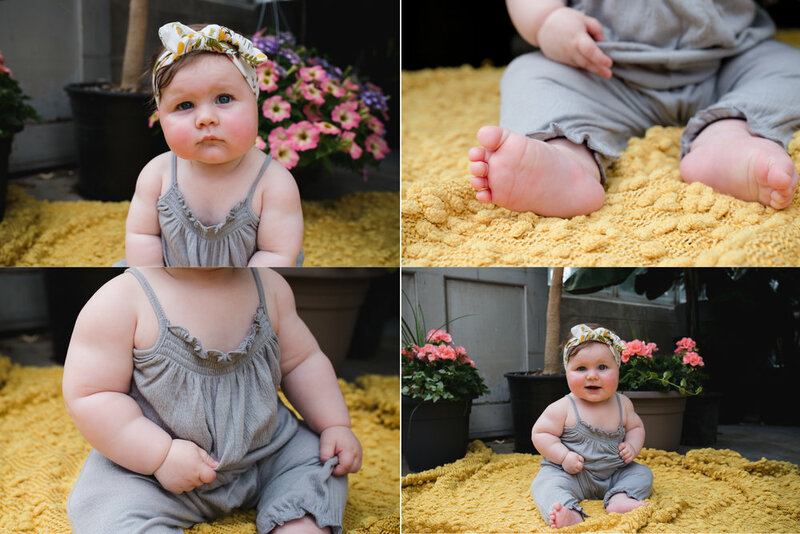 For Hadley's 7 month photo session, we wanted to take the photos outside with flowers in the background but at the time the regular flowers and wildflowers were just starting to grow back from the long winter we had. Most of the greenery outside still looked pretty dreary. Utilizing a greenhouse was the perfect location as it added vibrant colors and textures to the photos. 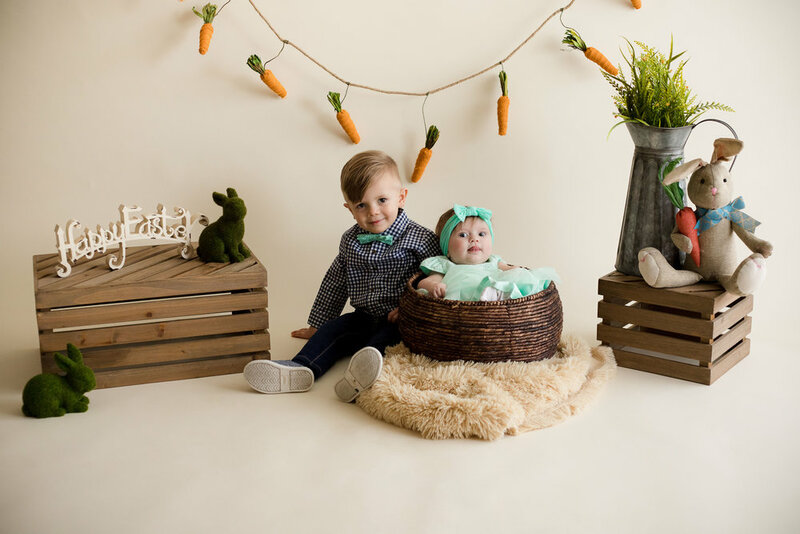 Pierson's Flower Shop and Greenhouses, Inc. located on Ellis Road in Cedar Rapids was so generous to open up their shop to us and they were excellent to work with. 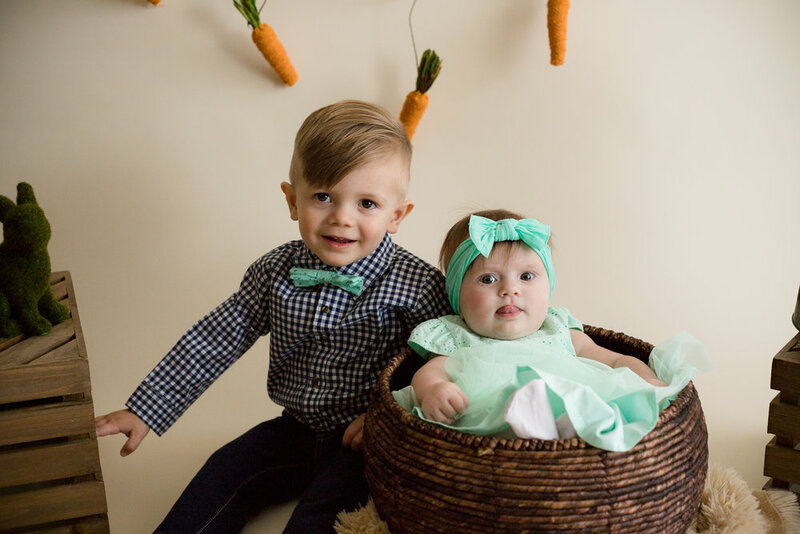 At the end of April, Hadley turned 7 months. 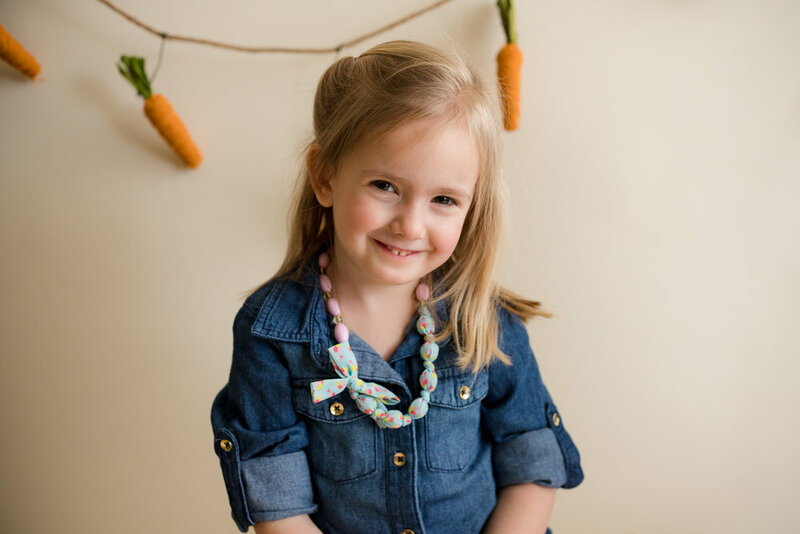 At this age in her life she loves her family pet dog, Benny, and hearing kissy and animal noises. She also enjoys playing peekaboo and being tickled by others. I loved getting to spend time with her during her session. 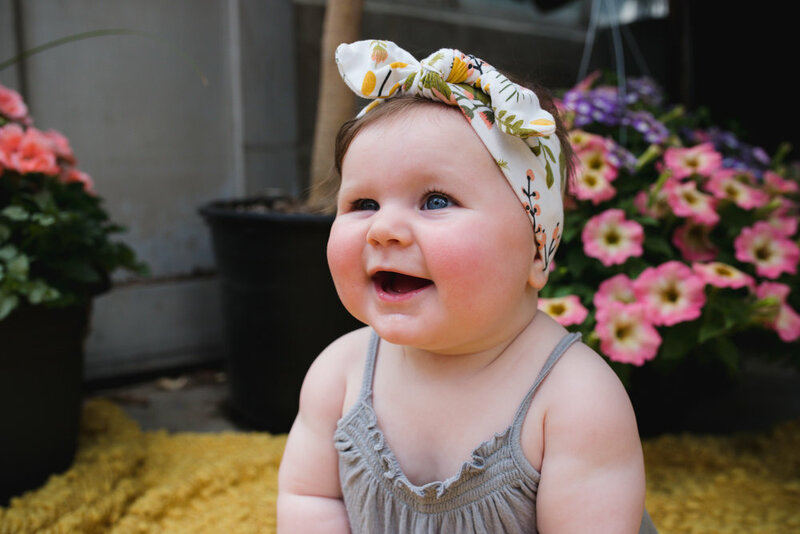 I couldn't get over her big blue eyes, adorable smile, and those cheeks! 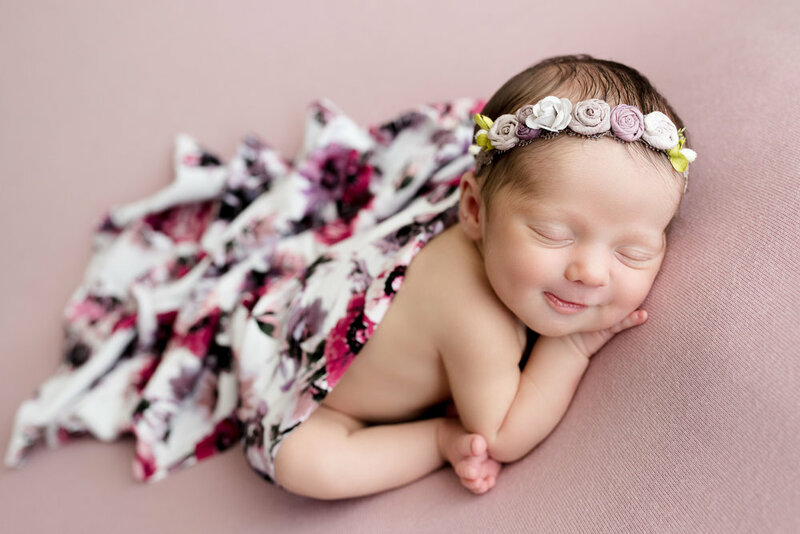 She's definitely a cute baby. 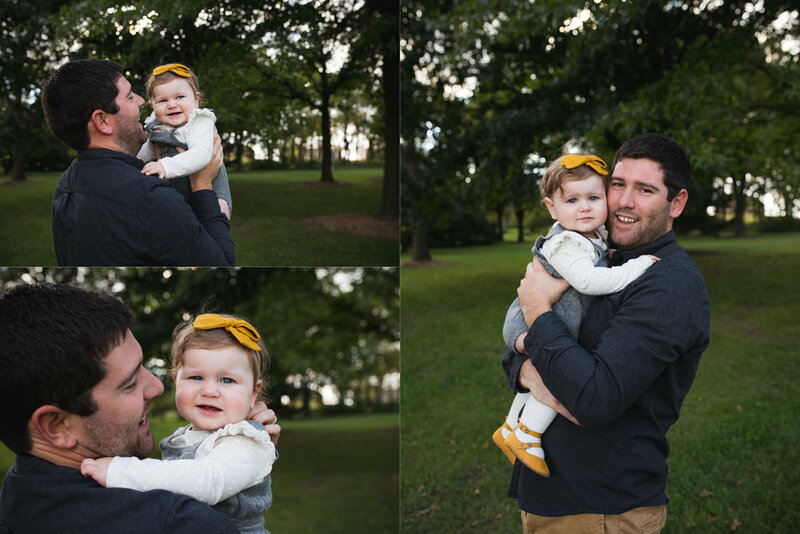 My Easter mini sessions this year were a success! 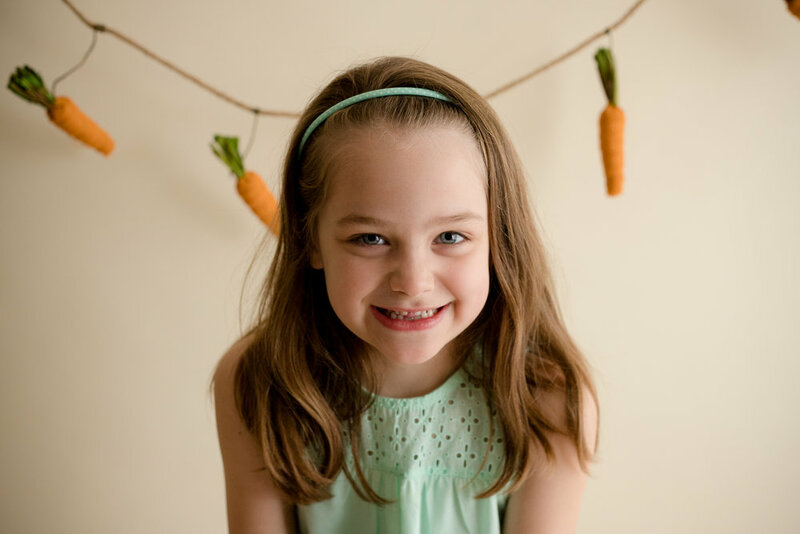 The theme was carrots and bunnies and the sessions took place at my in-home studio in Cedar Rapids on March 10 and March 18. We had perfect natural lighting both days due to the gorgeous weather outside. Multiple children participated; most were familiar faces with a couple of new ones. I loved seeing them all in their Easter attire. They all looked great for their pictures! 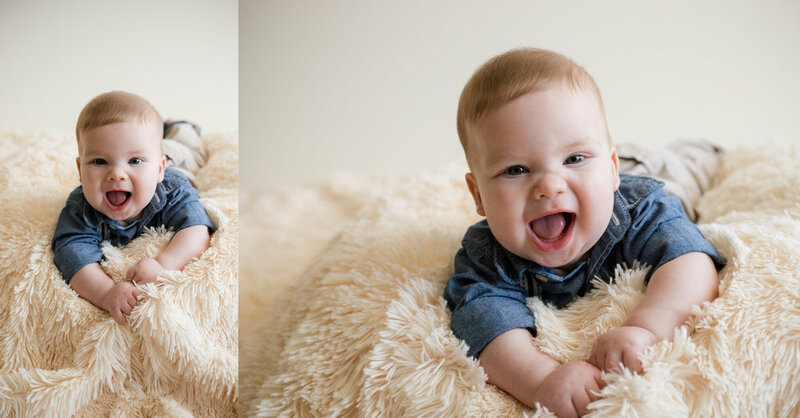 This little boy turned 6 months on February 10 and visited me about a week later for his milestone photo session. His mother mentioned he's hard to get a laugh out of and smiles for a few people. The moment he walked through the door, he was all smiles. He couldn't stop smiling throughout the entire session! And even let me pose him however I wanted. I LOVED IT! 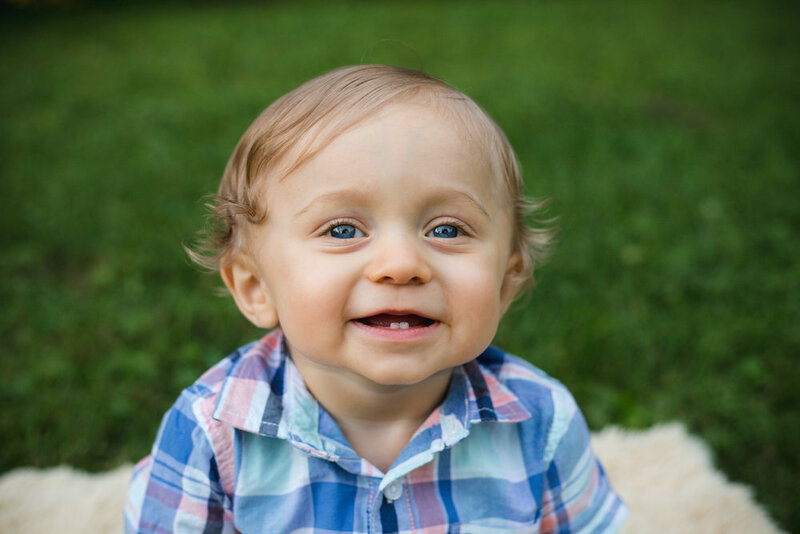 This little guy turned two on January 27. 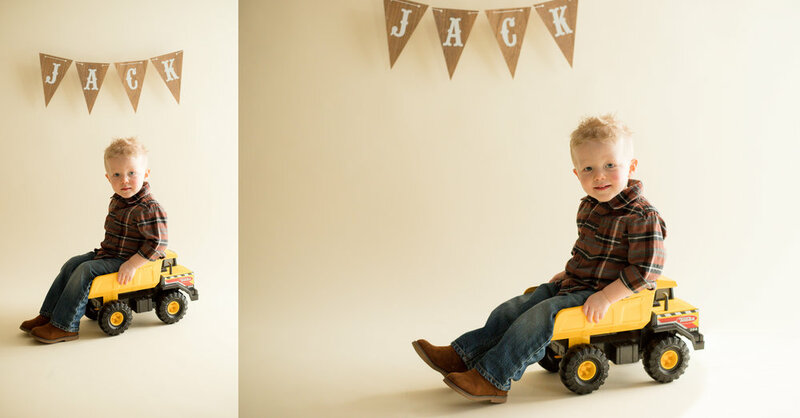 As a two year old, some of Jack's favorite things are balloons, trucks, painting, riding his wooden rocking horse, playing t-ball, jumping, and reading books. 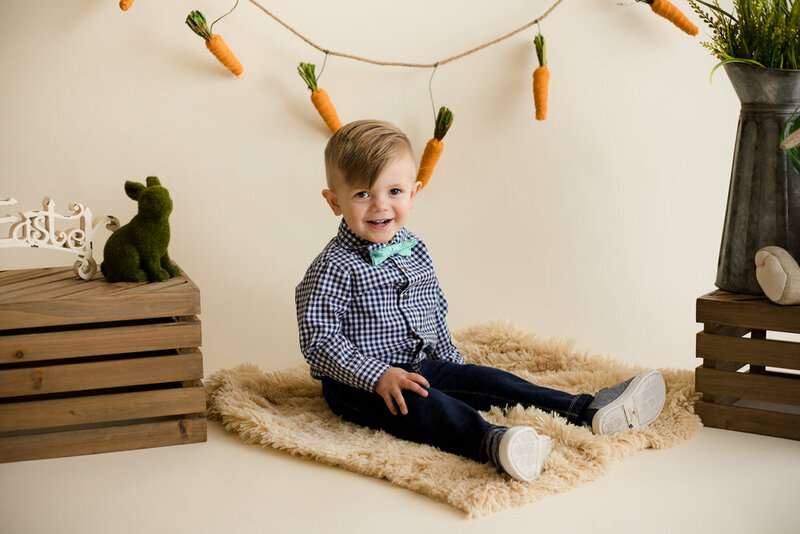 When his mom and I started to brainstorm ideas for his photo session, we decided it'd be fun to incorporate some of his favorite things at this age. Jack will laugh if you tickle him, make funny faces or noises at him, or tell him you're going to chase him. During his session, I told him I was going to chase him and he immediately popped up from his seat and ran towards his dad. :) I was still able to get a smile out of him before he was out of my camera frame. 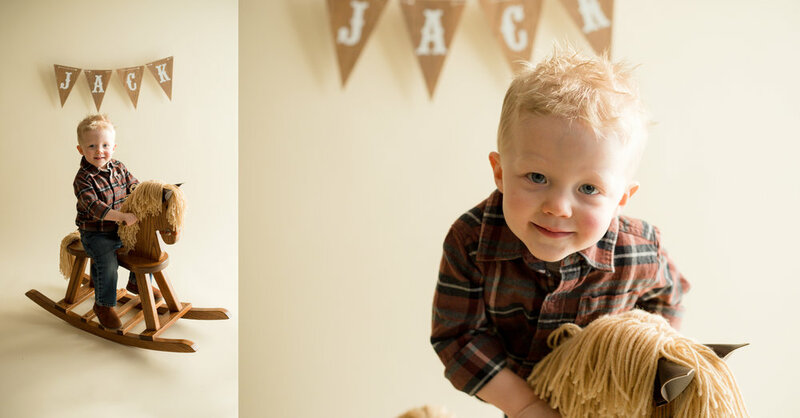 At age two, Jack is into TV shows Puppy Dog Pals and Mickey Mouse. He also likes to sing nursery rhymes such as "If You're Happy and You Know It," "Twinkle, Twinkle Little Star," and "Itsy Bitsy Spider." During this photo, he sang and did the moves to "If You're Happy and You Know It." 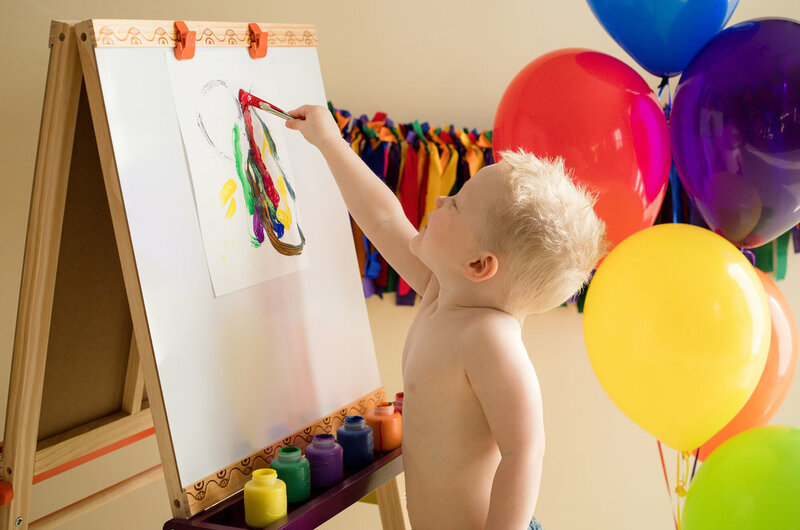 Why not take a break from painting on your easel to paint on your body?! 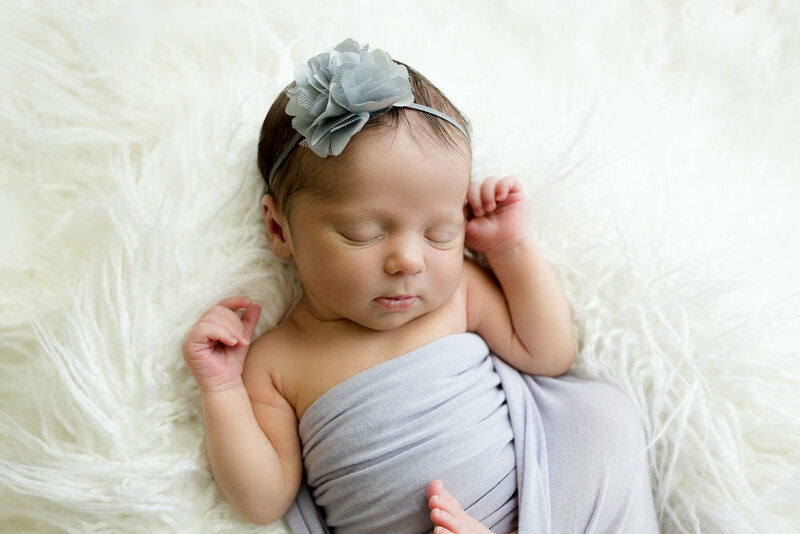 Ryan was born November 4, 2017 and I got to meet her at 9 weeks old. 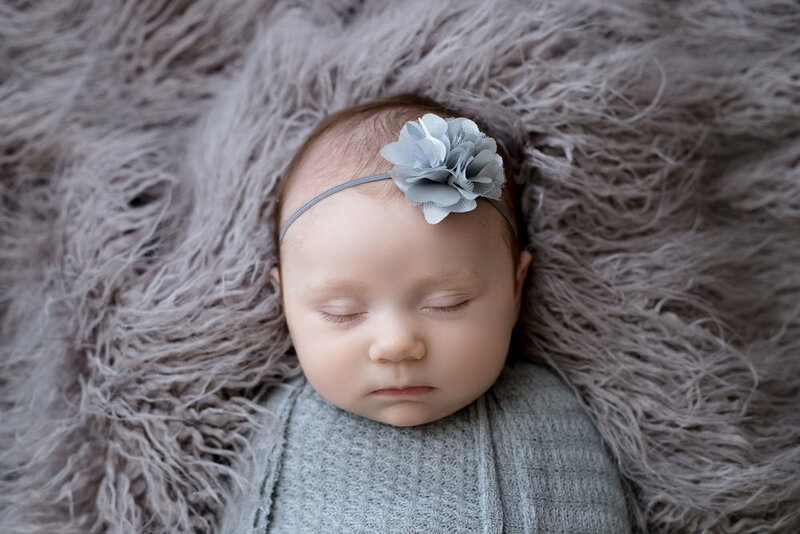 She visited me early January and I got to spend a couple of hours snuggling her - she was so precious and did so well during her newborn photo session. 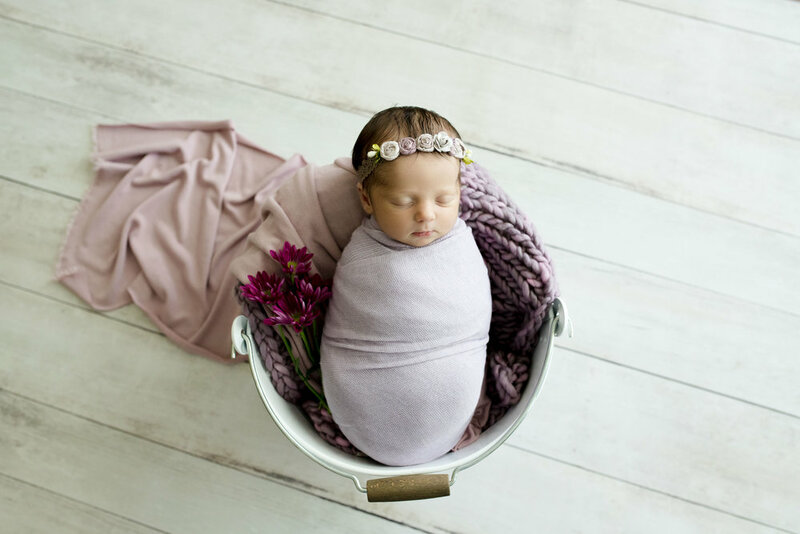 I was a little worried I wouldn't be able to get her to stay asleep since she was older than 14 days, but another newborn photographer told me the key to getting an older baby asleep is to wrap him/her. It worked like a charm! Ryan's mother brought a quilt that a relative made for her. I'm so glad she did because it added the perfect touch to some of her photos. Those pastel colors are gorgeous together. 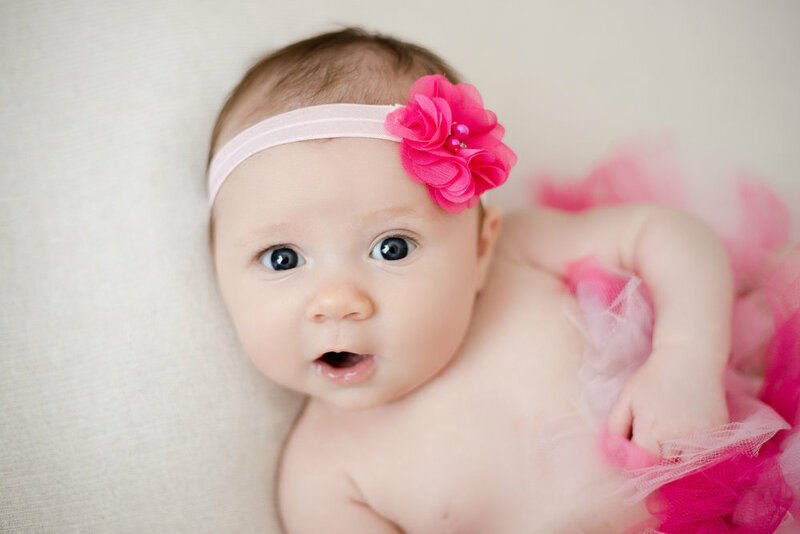 Her mother also brought this adorable tutu and matching headband. The outfit was perfect and I loved that pink color. 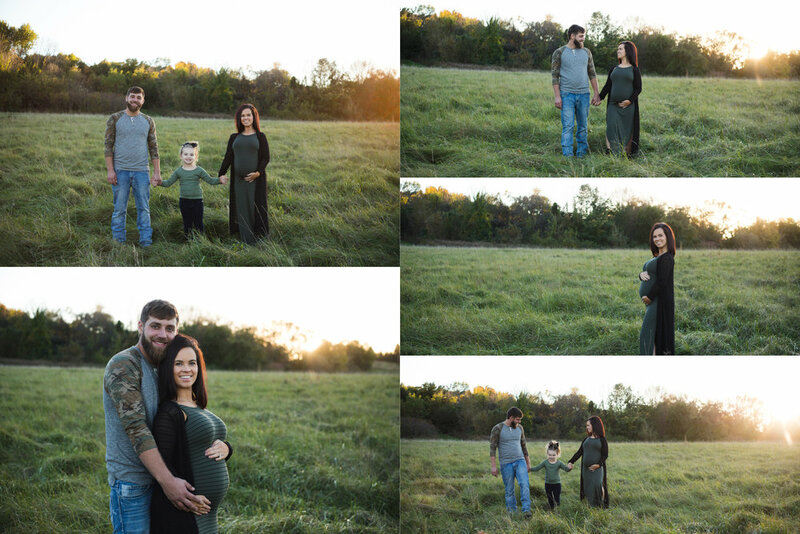 Ryan's older sister and brother were so proud and excited to have a baby sister. Ryan and her beautiful mother. Hadley Melloy was born on Saturday, September 30, 2017 at 5:39 a.m. at St. Luke's Hospital. She weighed 9 pounds, 5 oz, and was 20.5 inches long. She's beautiful! 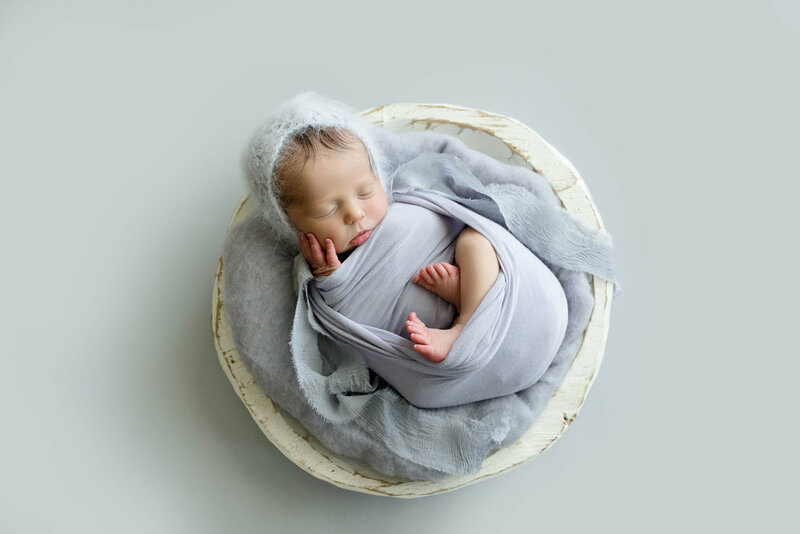 I got the opportunity to meet her on Sunday and captured a few pictures of her in the hospital at just one day old. She has so much hair and rosey, red cheeks. 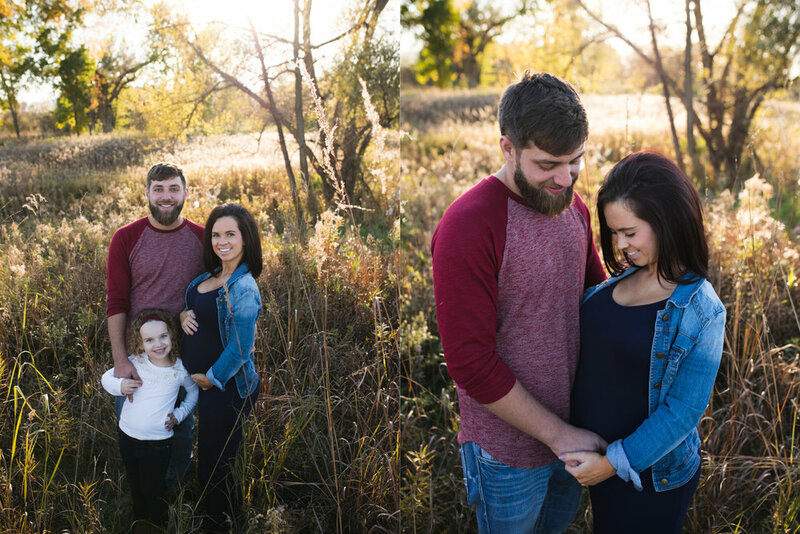 Her parents are so in love! 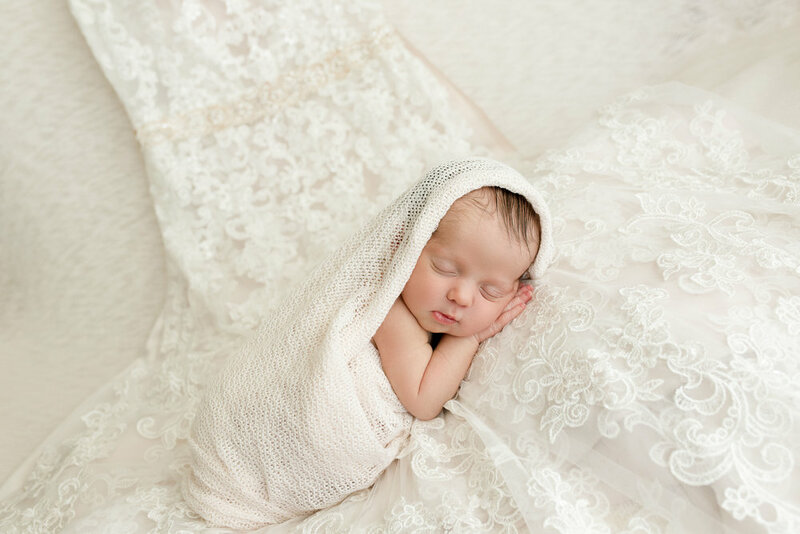 I can't wait to do her newborn photo session in just a few days. 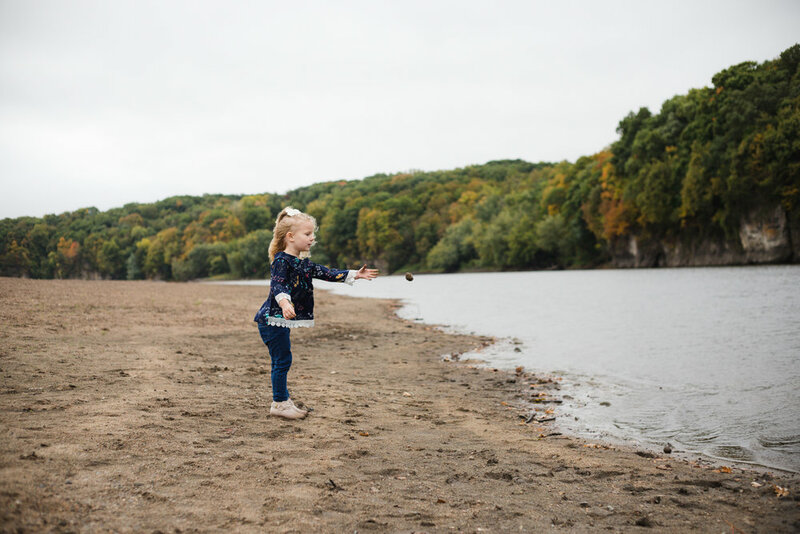 Kelsey is three years old and loves to swing and play in the water with her rain boots. 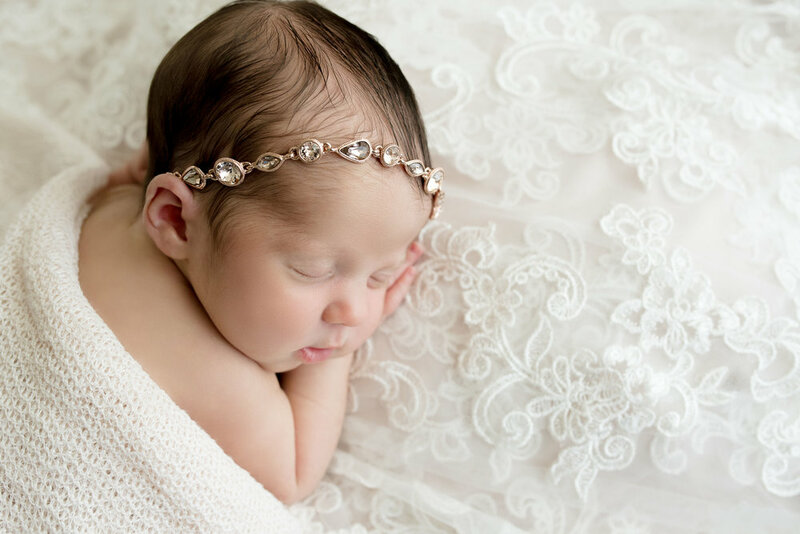 So what better way to capture this time in her life than to let her do what she loves during her photo session. 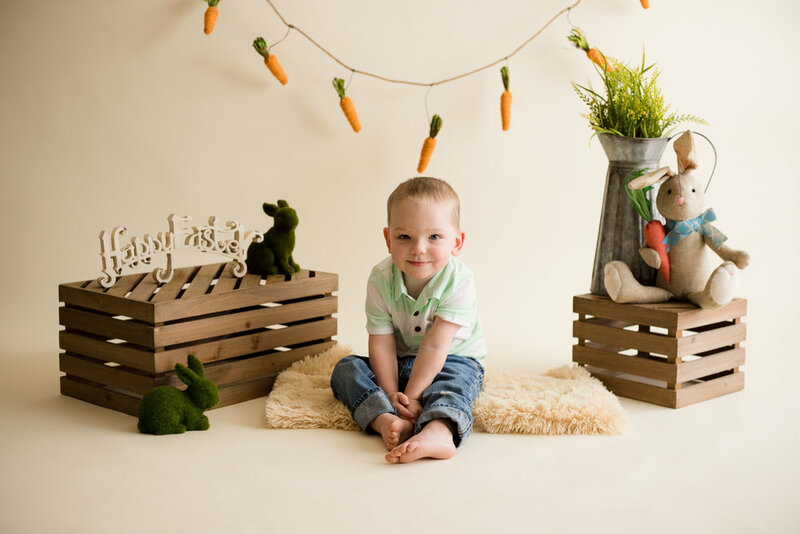 I love when clients want to do themed sessions like this as it allows the child to play and it's a way to preserve memories of your child's favorite activities. We started off the session at her house. Kelsey's grandfather does woodworking on the side so he was able to build her a tree swing that her parents hung on the tree in their front yard. It turned out amazing! We ended the session putting on Kelsey's rain boots and rain coat and letting her play in the water. She looked adorable! And we handed Kelsey her umbrella for a couple of photos. 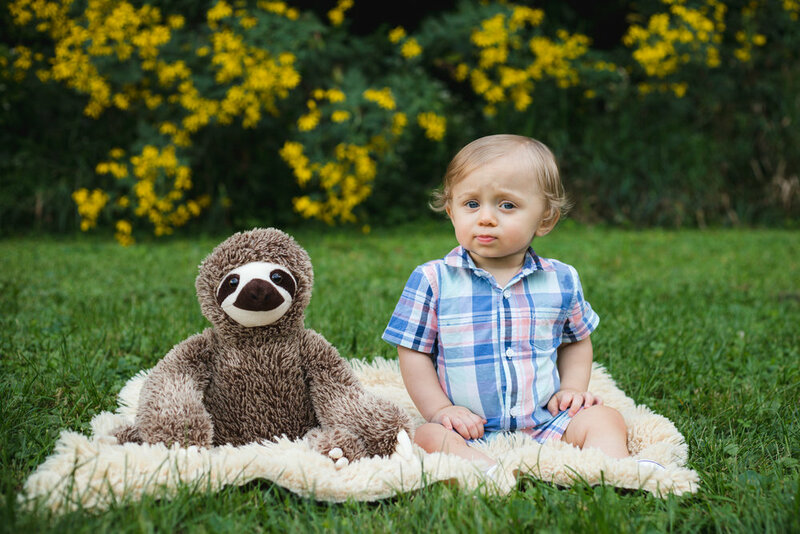 I had the opportunity to capture Leo's one year photos in August. 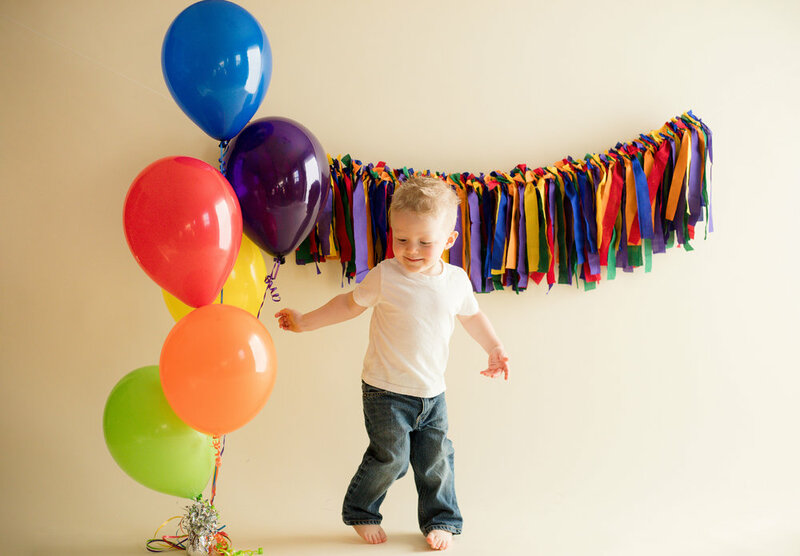 I can't believe he's one already! 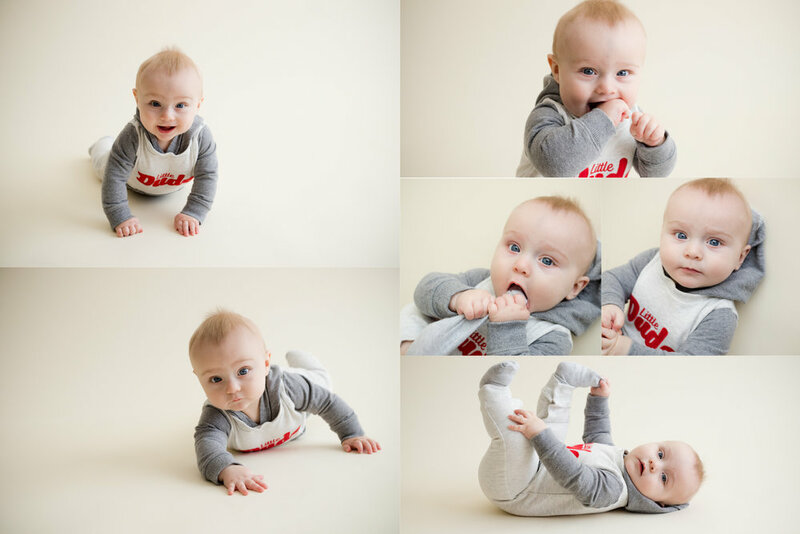 It seems like just the other month, I was taking his 6 month photos. He's grown a bit since then. 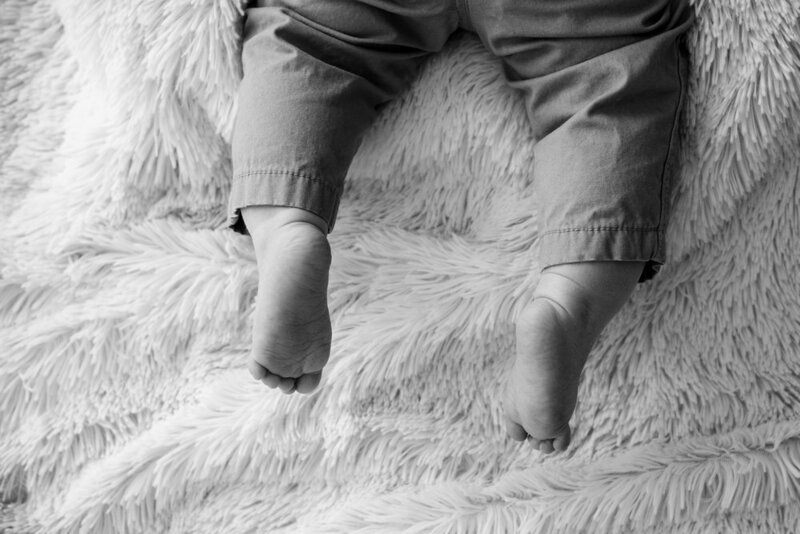 He's now standing on his own and can take a few steps. 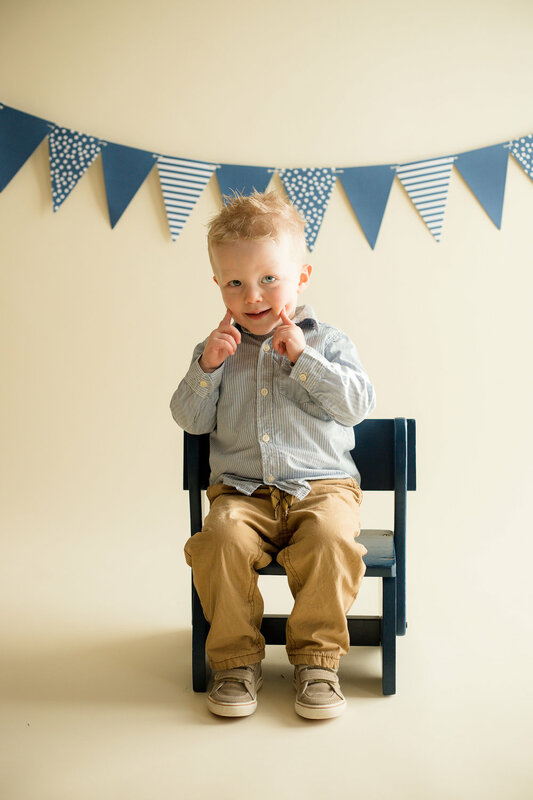 He loves watching the Mickey Mouse Club, and when you give him a goofy, silly face he becomes all smiles. I am SO far behind on blogging! 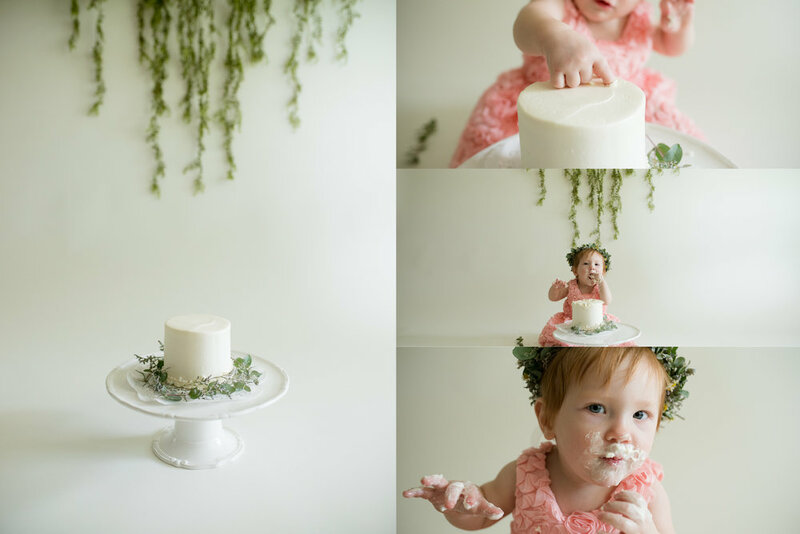 This girl is TWO already! How can that be?! 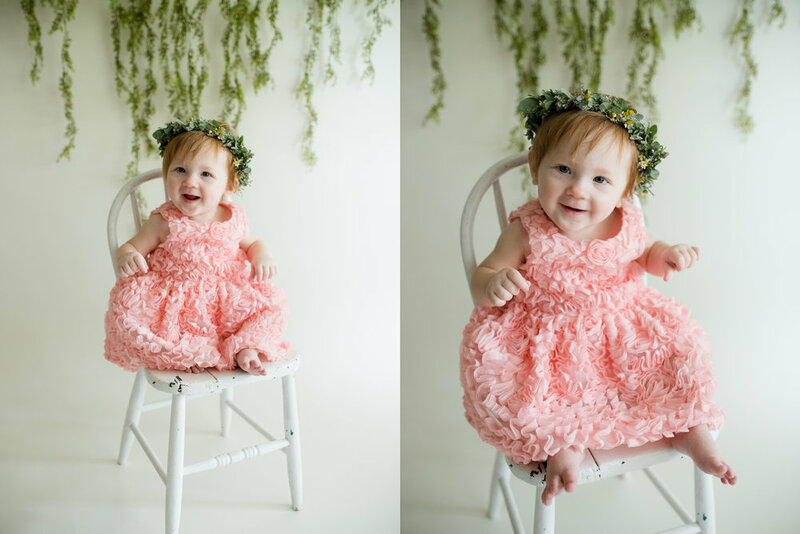 I have photographed Weslyn since she was three months old and have felt so lucky to be the photographer who captures moments of her as she grows. 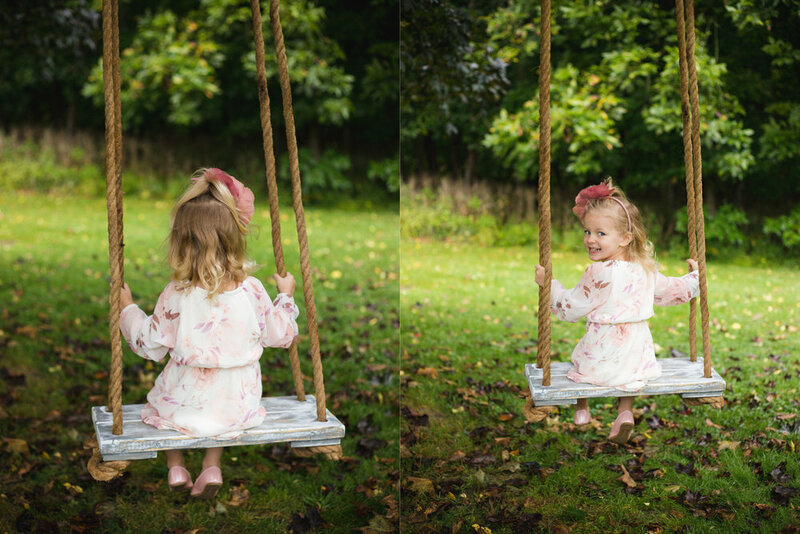 I love every opportunity I get to spend with her and capture her joyful personality. At the beginning of this session, she was a little shy around me but gradually started to warm up. By the end, she was full of smiles once the word "candy" was said and wasn't afraid to get close to me and my camera. Success! I am obsessed with her curls! 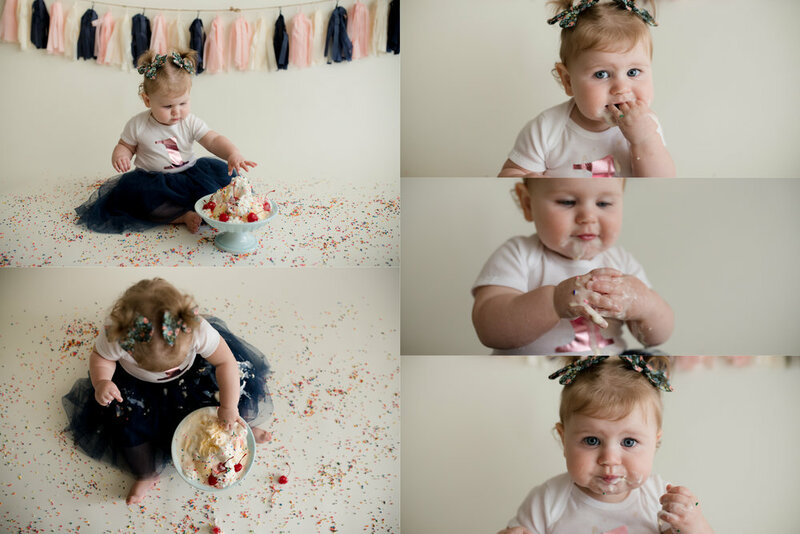 I also got the opportunity to capture one-on-one photos of Theo for his One Year photos and his more formal cake smash session. Check out his adorable baseball outfits! Those sandals were the perfect touch to his outfit. Too cute! Theo wasn't overly excited about diving into his cake but with a little help of a fork and some baseball toys we were able to get a few bites out of it. 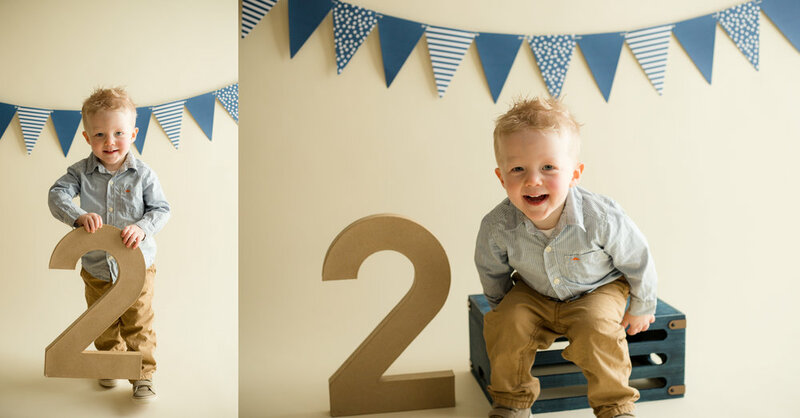 Theo celebrated his first birthday late last month with a baseball-themed party. His mom did a fantastic job making his party extra special with all the cute decorations and that awesome baseball cake. The decorations were on point! His mom even transformed the napkins into a home plate - how cute is that?! I think it's safe to say he made out pretty well in gifts for his first party! He especially enjoyed sitting in his new chair and scooting around in his red and yellow car. And that cake! I was pretty obsessed with it. Theo wasn't interested in diving into it with just his hands, but once he had access to a fork, he was able to dig a chunk out of it. He enjoyed that frosting! 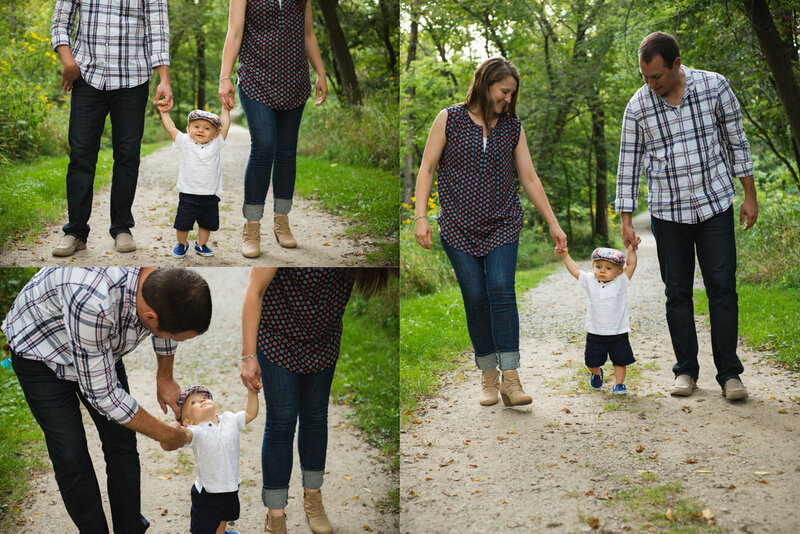 This photo session was a great idea! 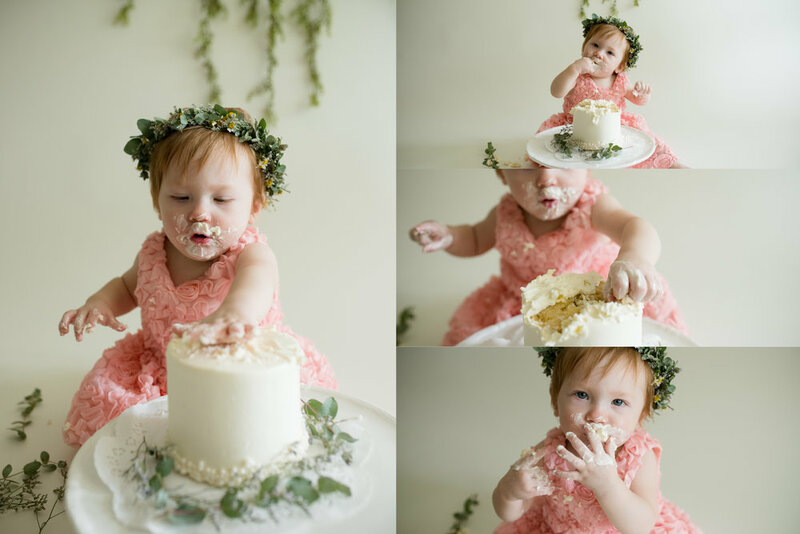 It allowed Theo's parents to focus their time mingling with friends and family, watching their son as he opened his gifts and dig into his first birthday party cake without having to worry about grabbing a camera to catch every moment. 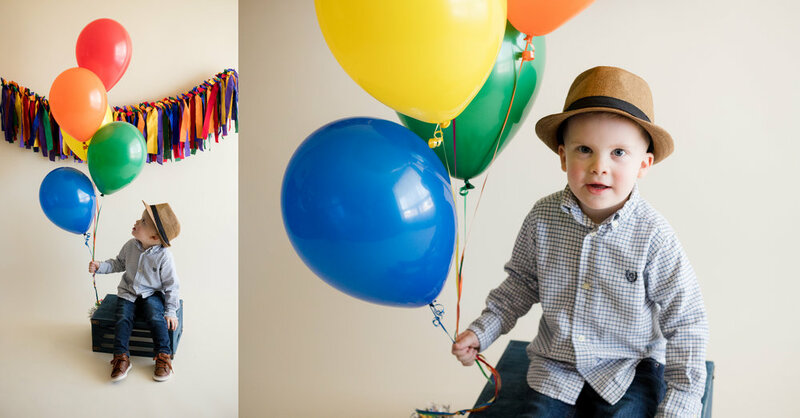 If you're interested in hiring a photographer to capture these kind of moments for you and your little one's birthday party, please contact me to discuss details and pricing.